S P Setia Bhd will launch its D’Camellia affordable apartment at its sustainable Setia EcoHill township in Semenyih, Selangor on Saturday, Oct 1. The property developer said on Thursday the launch will be held in its Setia EcoHill Welcome Centre. 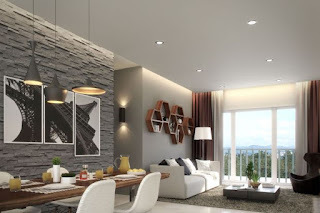 The apartments will cost RM262,000. Each unit features three bedrooms and two bathrooms with a built-up of 860 sq. ft. and two parking bays for each unit. S P Setia said the launch of tower one comprises 317 units out of the 635 apartments to be built over two blocks of 18 storeys each. The facilities will include landscaping, an Olympic length swimming pool, playground, gymnasium, badminton court, multipurpose hall and is a gated and guarded development. Setia EcoHill general manager Koh Sooi Meng said the apartments would be suitable for first time homebuyers, young couples, fresh graduates and parents buying property for their children as investments. The project would be in its Setia EcoHill – a sustainable township spread over 673 acres with various themed gardens, parks and waterways. “Our affordable apartments have garnered strong response from the market. Last year, we launched 1,270 of similar apartment units at D’Cerrum and D’Cassia to an overwhelming overall take-up of 96%. These apartments are already under construction with targeted delivery in December 2019,” Koh added. The completion date for the D’Camellia is in the fourth quarter of 2019. Residents will also be able to enjoy access to 56 commercial shops at EcoHill Taipan which are expected to be completed in 2018.